Proudly Crafted in the USA! The Essential PLUS Set includes the 1 Quart Saucepan, 3.5 Quart Sauté Pan and the 360 Cutter. These 3 items together will help you stay on your healthy cooking journey by creating delicious meals in less time! Food tastes better after being prepared in 360 Cookware - add the stainless steel 360 Cutter and you can have your favorite vegetables prepped in no time. Ergonomic Handles (Only 1 quart saucepan w/cover and 3.5 quart sauté pan w/cover) ~ Oven Safe (Only 1 quart saucepan w/cover and 3.5 quart sauté pan w/cover) ~ Stay Cool Handles (Only 1 quart saucepan w/cover and 3.5 quart sauté pan w/cover) ~ Dishwasher Safe (Only 1 quart saucepan w/cover and 3.5 quart sauté pan w/cover)~ Induction Capable (Only 1 quart saucepan w/cover and 3.5 quart sauté pan w/cover)~ Cladded Matel (Only 1 quart saucepan w/cover and 3.5 quart sauté pan w/cover)~ .110 Gauge ~ T-304 Surgical Grade Stainless Steel (Only 1 quart saucepan w/cover and 3.5 quart sauté pan w/cover)~ 18/10 Stainless Steel (Only 1 quart saucepan w/cover and 3.5 quart sauté pan w/cover)~ Handcrafted in the USA (Only 1 quart saucepan w/cover and 3.5 quart sauté pan w/cover). 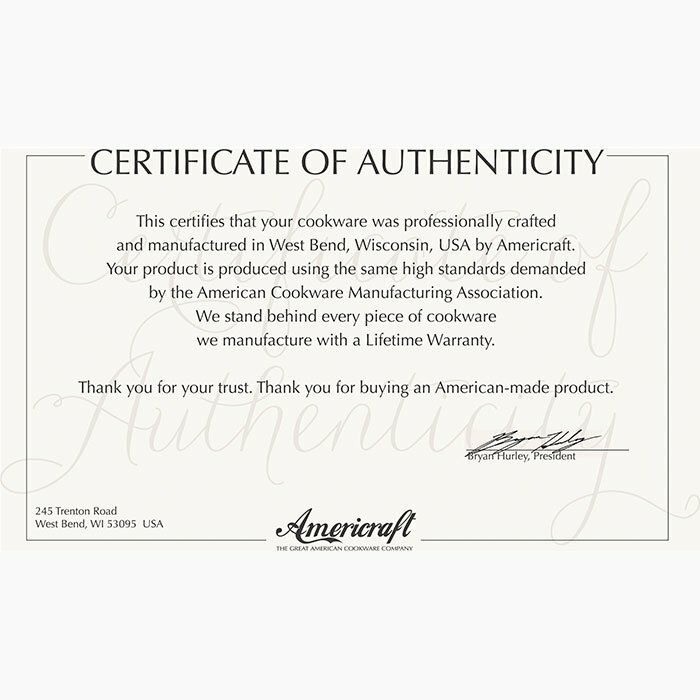 360 Cookware is handcrafted in the USA, which is manufactured in our Green E-Certified factory in West Bend, Wisconsin which is recognized by the EPA. 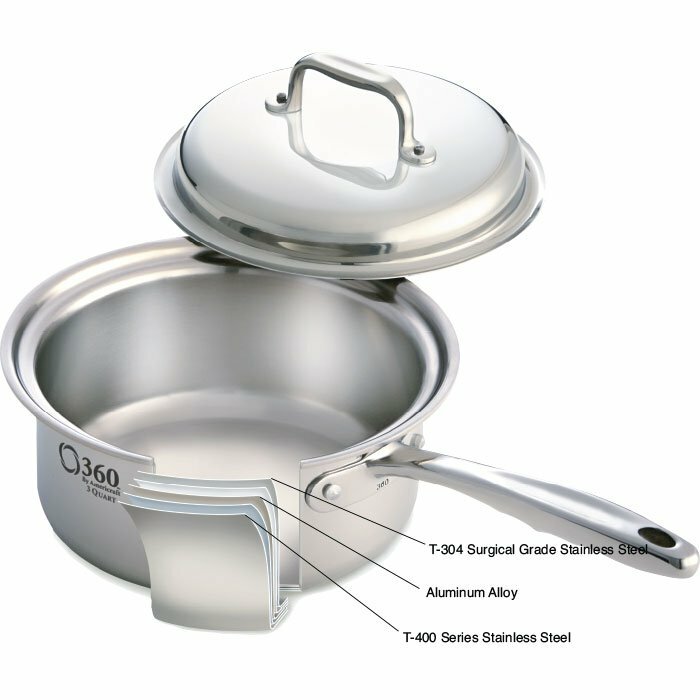 360 Cookware is made of two primary metals – stainless steel and aluminum. The inside layer of stainless steel (what primarily touches your food) is T304 and the range is 18/8 to 18/10. “Range” (18/8 and 18/10) refers to the percentage amount of chromium and nickel in the metal. In this case, it’s 18% chromium and 8% to 10% nickel. The outside layer of steel (what touches the heat) is T400 series stainless steel which has a lower nickel content and high carbon steel content to interact on induction cook tops. These two layers of stainless steel surround a layer of aluminum, which ensures superior heat conduction. 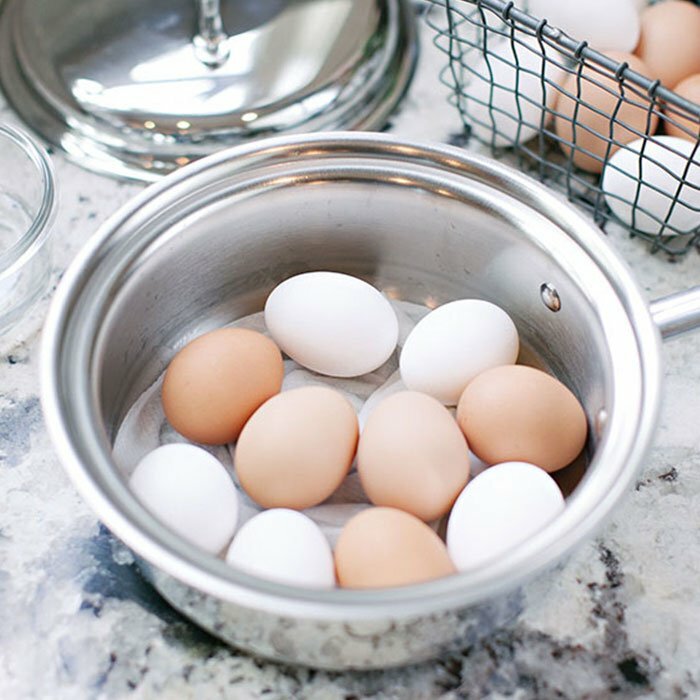 Because of its superior design, waterless cookware allows you to prepare foods without grease or added fats, and actually creates a concentrated cooking environment that allows you to bake right on your stove top. 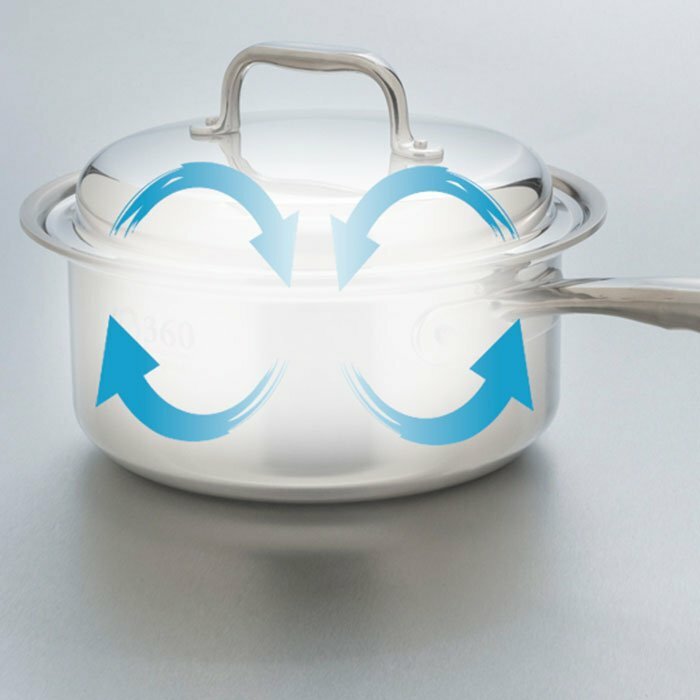 When applied to low or moderate heat, the advanced technology used to create waterless cookware generates a unique vapor seal around the lid using the natural moisture already present in most foods. 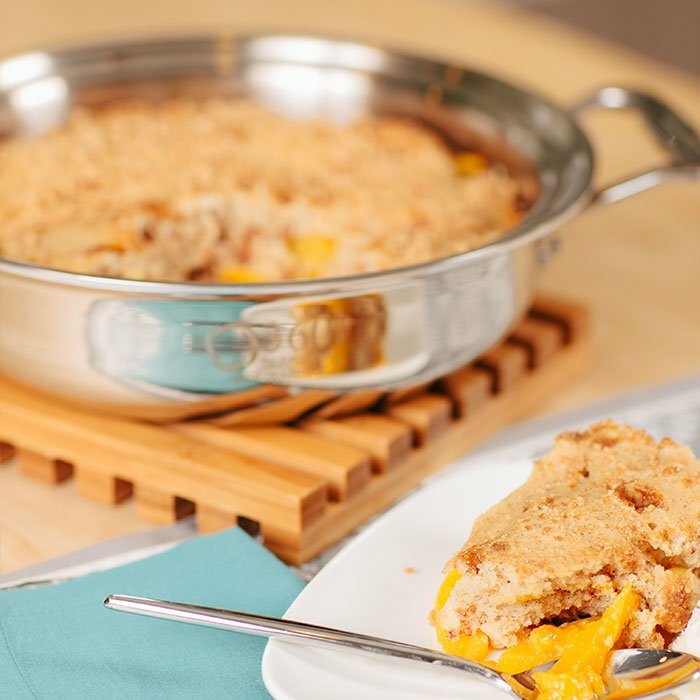 One great feature about the vapor cooking method is the ability to bake delicious treats on the stovetop. Baking on the stove uses less energy than powering your oven, and it puts off much less heat into the household. If you’re feeling apprehensive about any loss that you may incur, understand that 360 Cookware and Bakeware is an investment that will last for generations to come. In addition, each item comes with a lifetime warranty protecting you from any manufacturing defect – forever. 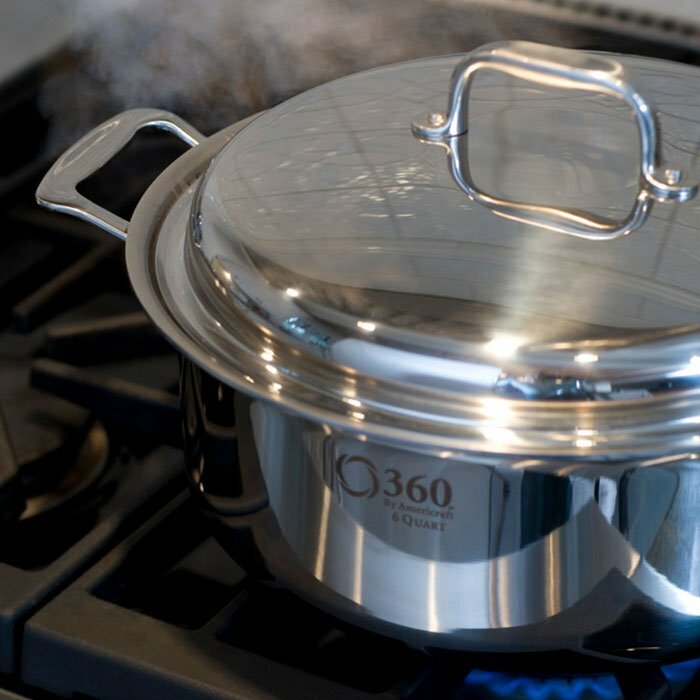 360 Cookware pots and pans, are formed using insulated layers of surgical grade stainless steel to create a cooking environment that distributes the heat evenly to every surface of the pan. 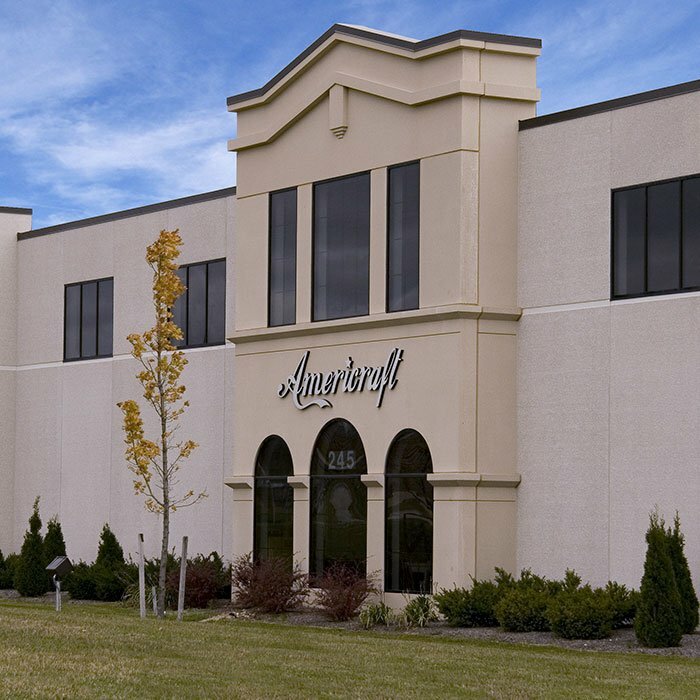 The important thing to remember is to keep the temperature at medium or lower, because of the innovative shape and construction, heat is conducted evenly and quickly, and retained for lengthy periods throughout the stainless steel cookware. High settings and overheating can discolor the finish. 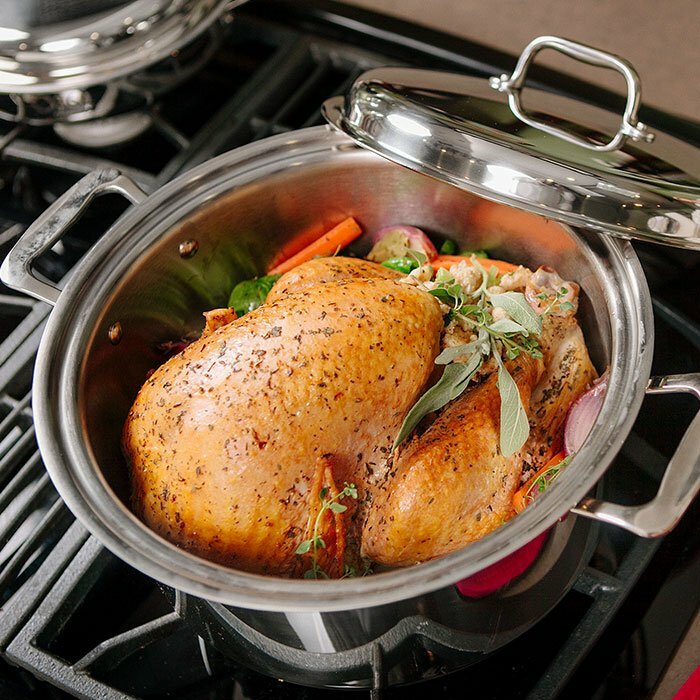 Dishwasher safe, safe for Gas, Electric and Induction ranges, and Oven Safe up to 500 degrees.